We manufacture, export and supply luxurious Wool Stoles from fine wool in Amritsar, Punjab, India. 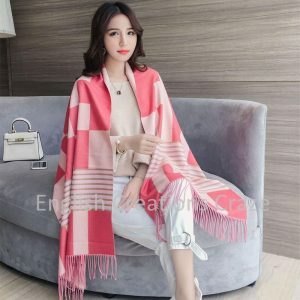 The use of elegant check designs in making these Wool Stoles provides them an attractive look.Buy Wholesale scarves in bulk quantity at discounted prices as ENGLISH CREATIONS CRAZE is a wholesaler From India, manufacturer, supplier, exporter of scarves, shawls, stoles, Pareos , Kaftans, Sarongs, bags, ponchos, Kimonos, jacquard scarves, printed scarves, fabrics. We are instrumental in exporting, manufacturing & supplying an exclusive range of Wool Stole in Amritsar, Punjab, India. Due to the rich experience in this domain, we have been able to offer a wide range of supreme quality Wool Stole to our prestigious customers.Importers buy Wholesale scarves in bulk quantity at Competitive prices as ENGLISH CREATIONS CRAZE is an exporter From India, wholesaler, manufacturer, supplier of scarves , shawls , stoles , bags , ponchos , jacquard scarves , printed scarves, Pareos, Kaftans, Sarongs, Kimono , in all kind of fabrics From India. We are indulged in manufacturing, exporting and supplying Wool Printed Stoles in Amritsar, Punjab, India. 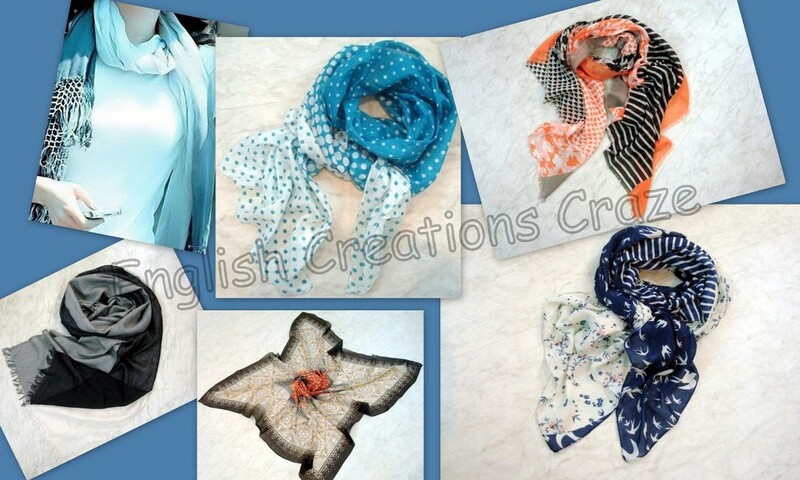 These Wool Printed Stoles having different colors and absolutely suitable for daytime as well as evening occasions.Clients can buy Wholesale scarves in bulk quantity at Competitive prices as ENGLISH CREATIONS CRAZE is a manufacturer From India, wholesaler, supplier, exporters of scarves, shawls, stoles, bags, ponchos, Kaftans, Sarongs, Kimono , printed scarves, jacquard scarves, Pareos and fabrics. We are exporting, manufacturing & supplying superfine Wool Jacquard Stoles is great fun to wear for all ages from Amritsar, Punjab, India. The colors of Wool Jacquard Stoles are great and they liven up your outfit and go with anything.Customers can buy Wholesale scarves in bulk quantity at discounted prices as ENGLISH CREATIONS CRAZE is a supplier From India, wholesaler, manufacturer , exporter of scarves, shawls, stoles, bags, ponchos, Pareos, Kimonos, jacquard scarves, printed scarves, Kaftans, Sarongs, and Fabrics. We are manufacturing, exporting & supplying impressive range Of Wool Cotton Stoles from Amritsar, Punjab, India. 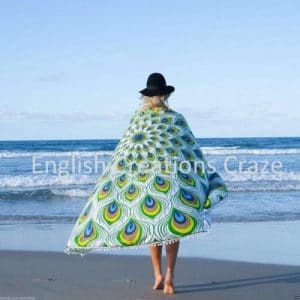 Our Customers Can Avail The Facility to Customize Our Wool Cotton Stoles as Per Their Specifications.Clothing stores can buy Wholesale scarves in bulk quantity at discounted prices as ENGLISH CREATIONS CRAZE is a supplier, wholesaler, manufacturer , exporter of scarves, shawls, stoles, bags, ponchos, Pareos, Kimonos, jacquard scarves, printed scarves, Kaftans, Sarongs, and Fabrics From India. We manufacture, export and supply Wool Silk Stoles combining vibrant colors and patterns along with contemporary style from Amritsar, Punjab, India to our customers.Wool Silk Stoles that emphasize modern-day fashion trends coupled with vibrant colors, distinctive designs.Brands can buy Wholesale scarves in bulk quantity at discounted prices as ENGLISH CREATIONS CRAZE is a supplier, wholesaler, manufacturer , exporter of scarves, shawls, stoles, bags, ponchos, Pareos, Kimonos, jacquard scarves, printed scarves, Kaftans, Sarongs, and Fabrics From India. We manufacture, export and supply Wool stoles to our customers in Amritsar, Punjab, India. 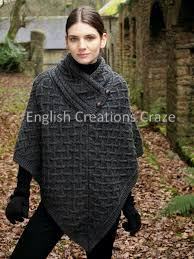 Our Craftsmen Churn Out Wool stoles, That Are Known For Their Intricate Designs.Clothing stores can buy Wholesale scarves in bulk quantity at discounted prices as ENGLISH CREATIONS CRAZE is a supplier, wholesaler, manufacturer , exporter of scarves, shawls, stoles, bags, ponchos, Pareos, Kimonos, jacquard scarves, printed scarves, Kaftans, Sarongs, and Fabrics From India. 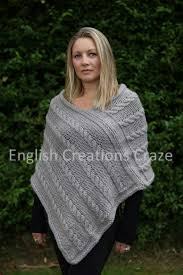 A woollen stole is a beautiful garment to wrap around in winters especially when you do not prefer to use a shawl. It is much better than a scarf because the stole can extend right up to your knees which a scarf cannot. 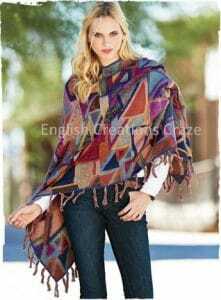 The wool stoles have become fashionable garments in recent times. 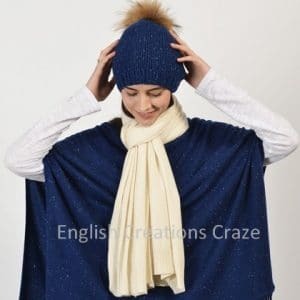 As there is tremendous demand for these useful garments, English Creations Craze has come forward to manufacture and export them in large quantities. The wool stoles have a variety of uses. The primary function is to protect the neck area and ears from the cold winds. Secondly, these stoles make an excellent fashion statement. They gel with all kinds of outfits. We manufacture all kinds of wool stoles. The Pashmina and cashmere wool stoles are our speciality. We also produce wool cotton stoles and wool silk stoles. 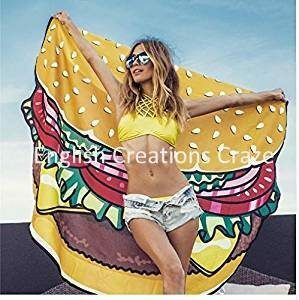 Each of our stoles has its unique demand in the market. Women of all ages love this garment as it enhances the style quotient of the garments they wear. We believe in offering the best products to our customers. Therefore, our designers spend long hours researching online to gather information about the latest designs prevalent in the market. They also gauge the preferences of women all over the country and abroad as well before incorporating the designs on our stoles. The result is that you get wool stoles that appeal to all sections of society. Women of all ages from school kids to the aged and experienced ones love the range of stoles on our web store. We ensure that we have attractive colours available for you to choose from. We deliver the best quality at all times. At the same time, we also ensure that quality does not affect the pricing aspect. 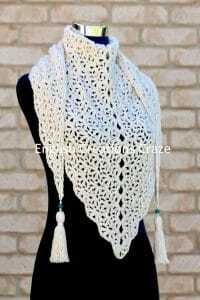 Our stoles are available at wholesale rates to customers who order in bulk quantities. The right way to purchase our wool stoles is to buy them online from our web store. You can get the best rates in the market. 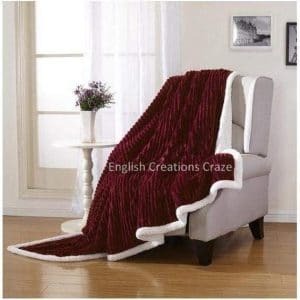 Come and shop with us as we deliver high-quality woollen products with embroidery.